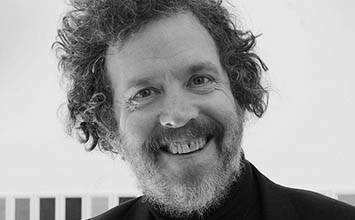 The below artworks are the most important by Martin Creed - that both overview the major creative periods, and highlight the greatest achievements by the artist. Artwork description & Analysis: The work comprises a crumpled piece of paper, tightly packed into a ball. It is presented in a cardboard box, surrounded by shredded paper packaging, also designed by Creed. The piece evokes the possibility and anxiety of a blank page, and perhaps the exasperation of the creative process. It combines the idea of making a mistake or a project not going to plan with the near-perfectly spherical ball. Its presentation within packaging of the same material (paper) points to the potential absurdity of its monetary and conceptual value; using crumpled paper to protect crumpled paper. Nevertheless, the geometric precision of the piece is proof of the craftsmanship it entails. Refuting those who criticized his art or deny its status as such, Creed has commented "The ball of paper are beautifully made... they are crafted objects". It does in fact take considerable skill to produce an entirely spherical shape from a single sheet of paper, perhaps suggesting a relationship to more traditional artistic forms like origami. There is a "cheekiness" to the piece though, which reflects Creed's antagonistic relationship to capitalist reproduction and consumer culture. Contemporary artist Ann Jones remarks: "this isn't a work to be revered, it's a work to greet with a wry smile". The pieces are available for sale, with Creed stating "People do buy them and I've seen one in someone's house. It was on the mantelpiece", again suggesting an incredulous relationship to the contemporary art market. Artwork description & Analysis: The instructions for Work 200: Half the Air In A Given Space are as follows: "Calculate the volume of the space. Using air, blow up white 12in balloons until they occupy half the volume of the space. As usual the space should be full of air, but half of it should be inside balloons...". As work that is different each time it is displayed, it has no permanent dimensions or appearance. The idea of making the everyday strange, or physically representing something that the audience takes for granted (the physical presence of air) is one with a strong relationship to Creed's ongoing practice, as well as echoing work like Andy Warhol's Silver Clouds (1966). It also raises questions of behaviour within the gallery, with there being no set or conventional manner in which to engage with the piece. The art critic Jonathan Jones comments that "in Southampton [UK], the balloon room seemed warm and funny", as families used the exhibit as a play area. He adds "It's not the artwork that matters, but the way it sets up relationships between people. You become a member of an airy commonwealth." In his music, Creed often sings of the possibility of being crushed by objects - the weight of materialism. This work could be seen as an antidote in that it demands space and lightness. Jones used this work as a metaphor for Creed's practice as a whole, and how to appreciate it: "Martin Creed makes artworks that are as light as air. Despise it, burst the balloon, that's your decision. Laugh with it, dive in the balloons and you'll have more fun." Artwork description & Analysis: Work No. 227: The lights going on and off comprises an empty room, which is alternately lit for five seconds and in darkness for five seconds - a pattern that repeats ad infinitum. The work uses the existing light fittings and interior space of the gallery it is installed within rather than any external equipment. As such it is created out of the ordinary and everyday mechanisms we interact with, perhaps confounding the viewer's expectations as to the nature of the installation. Its presence is extremely subtle, and might even be dismissed as a malfunctioning light fitting by those not familiar with the nature of the work. As such, it is left to the viewer to interpret its significance, to consider the piece in relation to the institution in which it is placed, and to the commercial and material relationships exposed by the physical absence of objects. The use of the existing lighting fixtures within the space responds to Creed's anxiety about creating physical objects as an artist. This is a concern that he also communicates in his songs, in which he speaks of the pressures of a materialist society. Rather than an object, Creed likens Work No. 227: The lights going on and off to a musical score. It is a set of instructions for a performance, rather than a formal and physical installation. Contemporary artist Maurizio Cattelan sees Work No. 227: The lights going on and off, specifically the variation between light and dark, as representative of the periodic changes in mood we all experience: "It has the ability to compress happiness and anxiety within one single gesture. Lights go on, lights go off - sunshine and rain, and then back to beginning to repeat endlessly." For Cattelan, this is a frightening reminder of the human condition. The freedom to interpret the subtle nature of the work has left it open to parody and ridicule, with several newspapers 'outraged' that it would be considered art at all. The installation led the tabloid newspaper The Sun (owned by conservative media magnate Rupert Murdoch) to launch its own parodic version of the Turner Prize, the Turnip Prize. 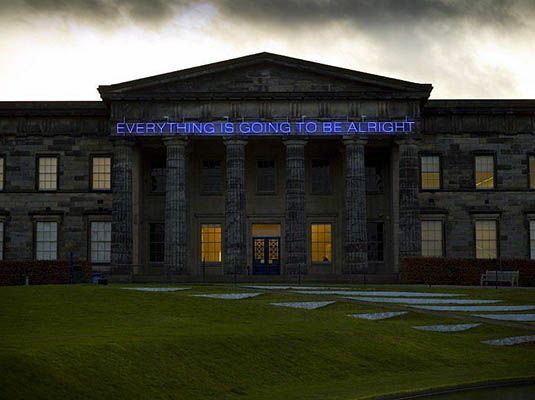 Artwork description & Analysis: The phrase "EVERYTHING IS GOING TO BE ALRIGHT" in large neon letters was designed to fit the length of the Scottish National Gallery of Modern Art's facade, and installed there to mark its 50th anniversary in 2009. The installation has since become part of the Gallery's identity, regularly photographed by visitors and used in publicity shots. Other versions of the work exist, including variants in Times Square in New York and at the Rennie Museum in Vancouver. The context of the work affects how the phrase is understood by its viewer. In Times Square, it has commercial connotations and evokes the sometimes empty reassurances of marketing, whilst at the Edinburgh museum it is seen more as offering public comfort - particularly effective on long winter nights as it lights up the museum gardens, facing outwards towards the public. Placed against the stern and historically weighted Doric columns of the museum, the work stands out as a modernist intervention amongst otherwise formal architecture, reflecting the housing of a museum of modern art (1900-Present) in a neo-classical building of 1825. In contrast to its bold appearance, the work invites a contemplative response. It reflects Creed's desire to "communicate and interact" with viewers, who he hopes will take "some excitement or thought or a little experience" from the work. 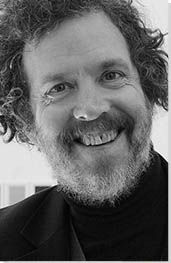 Some critics, including Jonathan Jones, have suggested that the bold presence of the phrase encourages viewers to question its truthfulness, and as such, its sentiment veers "between melancholia and exuberance". In this and in its medium, it is reminiscent of the artist's Turner-winning artwork Work No. 227: The lights going on and off (2000). Artwork description & Analysis: This work is made up of five thick strokes of dark red acrylic paint, the bottom stroke spanning the width of the canvas and each subsequent stroke reducing in height and width. The overall effect is reminiscent of a stepped pyramid or ziggurat, with the rest of the white ground on the canvas left exposed. Work 1105 is one of a series of paintings in this style, which the artist began in 2006. They were made shortly after the artist's return to painting, after he became disillusioned by the medium in his years as an art student. They do however continue to correspond to Creed's minimalist practice and ambiguous relationship to skill and artistic convention. The paintings resist any representational analysis, echoing the experiential minimalism of painters like Mark Rothko. The height of the strokes in Work 1105 correspond to the size of each brush in a standard pack of household brushes, demonstrating Creed's reluctance to make choices. He states: "I find it difficult to choose, or to judge, or to decide". Creed has again denied or refused any notion of skill in the production of this image, instead adhering to a set formula of production. The journalist Miranda Sawyer has commented that the ziggurat series of paintings is all about a set of rules, the result determined by the dimensions of the brushes and the canvas. In this sense, the works are "part random, part ordered". This approach has something in common with Work 200: Half the Air In A Given Space (1998) and Work No. 227: The lights going on and off (2000) inasmuch as the instructions for the work are the same, with a few variable factors such as the space it inhabits. 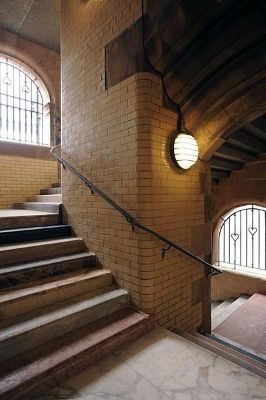 Artwork description & Analysis: This work constitutes Creed's restoration of the Scotsman Steps in Edinburgh. The steps were formerly in a poor state of repair but remained an important historic part of the cityscape. Creed was commissioned by the Fruitmarket Gallery to create a public artwork to change the public's perception of the steps and to bring art into their daily lives. In response to this commission the artist clad each of the 104 steps in a different kind of marble. This was potentially inspired by Italian techniques, as Creed currently lives on Alicudi island near Sicily and Scotland has an enduring history of Italian immigration. The idea follows Creed's 2010 solo exhibition "Down Over Up", which brought together various works inspired by progressions by degree - whether this be size, musical pitch or tone. It took two years of architectural engineering and complex stonework to plan and deliver the installation. The art critic Jonathan Jones has spoken of the effectiveness of Work no.1059 as a piece that inhabits a space between art and everyday life. He calls the work "a generous, modest masterpiece of contemporary public art", since the subdued beauty of the cladding enriches the experience of using the steps. Like many of his other installation works, the piece is subtle enough that it may not even be recognized as an artwork until pointed out. In Jones' words "This is a model of what public art ought to be: not a pompous statue but a contribution to living in the world". Furthermore, the way the work is experienced in the world is important to Creed - more so than his own experience of it in the studio. Like a score of music that is "re-made" every time it is played, Creed believes the artwork takes on new life each time somebody walks up or down it.